The Biloxi Shuckers have set the start time for all home games for the 2019 Southern League season, the team announced on Tuesday. Games will begin at 6:35 pm Monday through Saturday, and Sunday games will take place at 2:35 pm. Additionally, the Shuckers will have three day games that start at 10:35 am. "This is just another step towards what will be a hallmark fifth season in Biloxi," said Shuckers General Manager Hunter Reed. "With our start times locked in place, we hope that fans from all across the Gulf Coast and fans of Minor League Baseball can make plans to spend their nights, and a couple of afternoons, at MGM Park." The Shuckers continue the tradition of a 6:35 pm first pitch for games that occur Monday through Saturday. Gates will open at 5:30 pm for most of these games. On Sundays, games will commence at 2:35 pm, with gates opening at 1:30 pm. 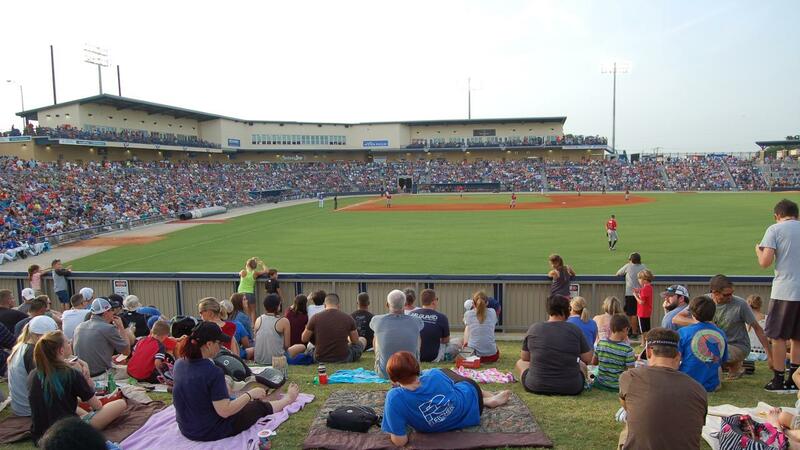 In 2019, the Shuckers' day games will take place on Wednesday, April 24, Wednesday, May 8 and Tuesday, June 11, with first pitch scheduled for 10:35 am. Schools, offices and groups can contact the Shuckers Ticket Office to secure their spot for these days by calling 228-233-3465 or coming to the MGM Park front office located at 105 Caillavet Street on the northeast side of the ballpark. A complete copy of the Biloxi Shuckers 2019 schedule with game times is available here or at biloxishuckers.com. Shuck Nation memberships and group outings for the 2019 Biloxi Shuckers season are on sale now and are available for purchase by calling 228-233-3465, online at biloxishuckers.com or by visiting the MGM Park front office. The Shuckers will open their fifth season at MGM Park on Thursday, April 4 at 6:35 pm against the Birmingham Baron.